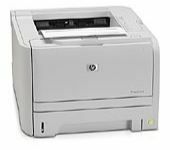 Monochrome and Colour Laser Printers are the workhorses of both consumer and commercial spaces alike and there are models to suit all needs - speed, quality and budget. Print from virtually anywhere in your home or office with wireless networking. Boost your productivity and potential with fast, black-and-white A3 printing and paper handling up to 4,600 sheets. 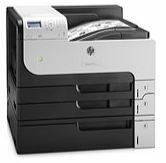 Handle the printing demands of a busy small office with a fast HP LaserJet printer. Advanced, high-capacity paper-handling, and finishing features that streamline and enhance document production in large work groups or departments. This laser printer brings productivity and exceptional value together. Streamline office tasks with access to business apps from the color touchscreen. Drive productivity—in or out of the office. Print from virtually anywhere, using HP ePrint. Make an impression with professional color marketing materials created in house. Make your business look its best with high-performance color—without paying extra for black-only printing. Keep your workflow moving with fast output and precision paper handling. Experience powerful color printing with the HP highperformance leader.